The New York Giants have had a rough season, but rookie running back Saquon Barkley has been as advertised. On Sunday, he set a rookie running back record when he caught his 89th reception of the season in the second quarter in a 36-35 thrilling loss to the playoff-bound against the Dallas Cowboys. Barkley has been the lone bright spot in a disappointing season for the Giants. 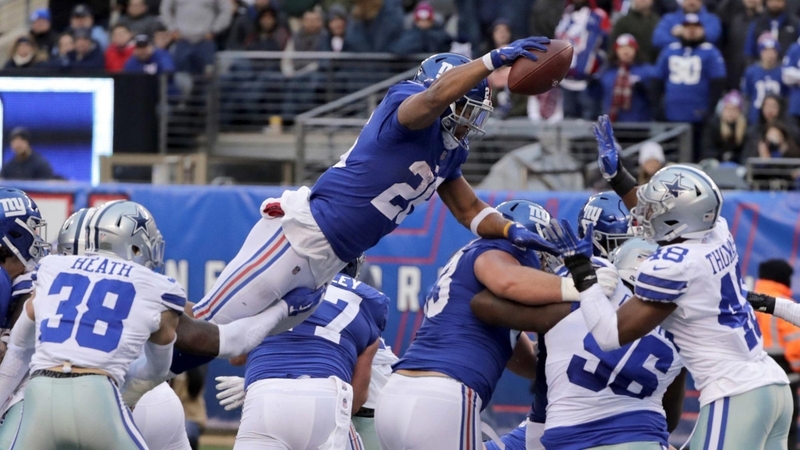 There's not a Giants rookie running back record he didn't break this season.